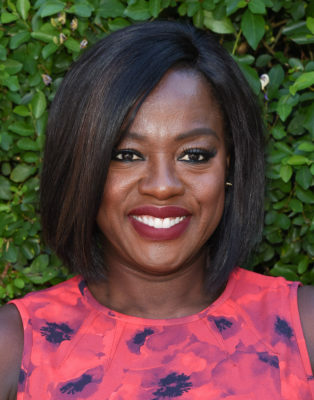 Viola Davis is taking on true crime. Recently, it was announced the How to Get Away with Murder star is producing a new series for TV One called Two Sides of the Truth. Davis is executive producing Two Sides of the Truth alongside Julius Tennon, Andrew T. Wang, Lemuel Plummer, and Jason L. Tolbert. TV One has not yet announced a premiere date. From the production companies of Viola Davis and Julius Tennon of JuVee Productions and Lemuel Plummer of L. Plummer Media comes the landmark limited series, Two Sides of the Truth, which will focus on four high profile cases that have been watershed moments for law enforcement and the Black community. Produced for the TV One network by L. Plummer Media in partnership with JuVee Productions, ‘Two Sides’ will dissect and present both points of view of these highly charged cases so the audience can draw their own conclusions after hearing both sides of the story. Davis also narrates the limited series. “Every other week we hear about these horrific incidences and many of them go unsolved and unresolved. We hope that this show can take those headlines and humanize them,” said Davis. “We want to give an unbiased approach to digging into what really happened on those fateful days and in doing so, hopefully shed some light and bring some awareness to such an important issue,” said Tennon. Two Sides of the Truth is executive produced by Davis, Tennon and Andrew T. Wang of JuVee Productions, Plummer and Jason L. Tolbert of L. Plummer Media (LPM) with LPM overseeing production. What do you think? Are you a fan of true crime shows? Will you watch Two Sides of the Truth? More about: TV One TV shows: canceled or renewed?, Two Sides of the Truth, Two Sides of the Truth: canceled or renewed? Two Sides of the Truth sounds like it would be interesting. I would watch it.